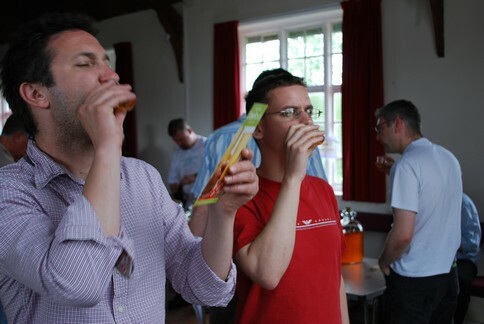 The annual Cider and Perry Trials held at Putley Village Hall have become an important fixture in the calendars of craft cider and perry producers in the Herefordshire region. This is a peer-judged event with all the judging carried out by the entrants in a series of blind tastings. 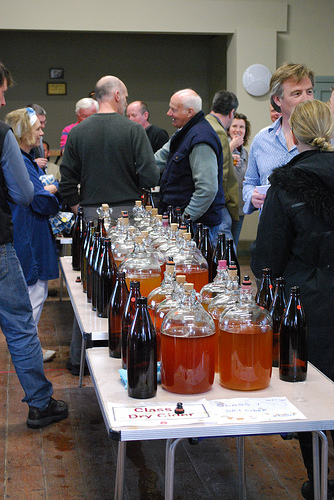 There are categories for both draught and bottled ciders and perries and the public is invited to taste the entries over the two days following the trials. 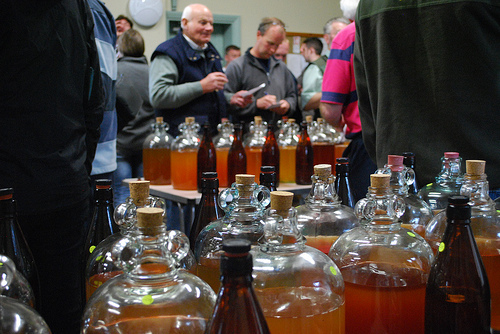 In 2010 the event took place on Saturday, 1st May at Putley Village Hall as usual with 160 draught and 24 bottled entries from 70 entrants. Download a full list of winners (PDF) with judges scores. 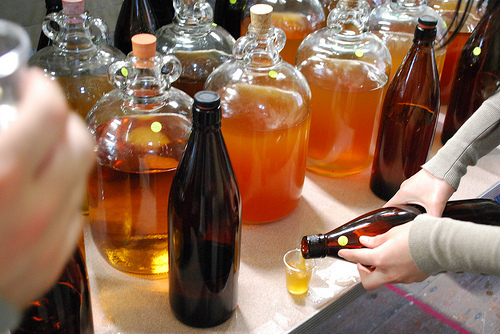 View more at the Real Cider gallery.